Kid Carpet brings you a large selection of rugs that works perfectly in any space including classrooms, kid play areas or bedrooms! they offer a crisp, detailed image with superior definition and clarity. They manufacture their own products and pass down the savings to you. 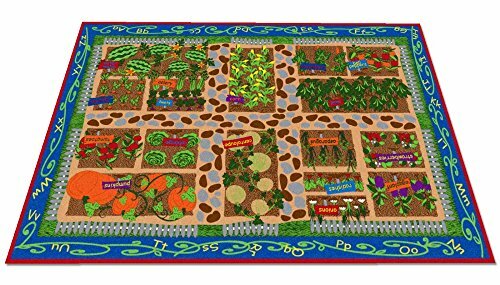 This unique area rug shows a wide variety of healthy fruits and vegetables growing in the Garden. If you have any questions about this product by Kid Carpet, contact us by completing and submitting the form below. If you are looking for a specif part number, please include it with your message. Kid Carpet Garden Of Good Health Rug, 6' x 8'6"